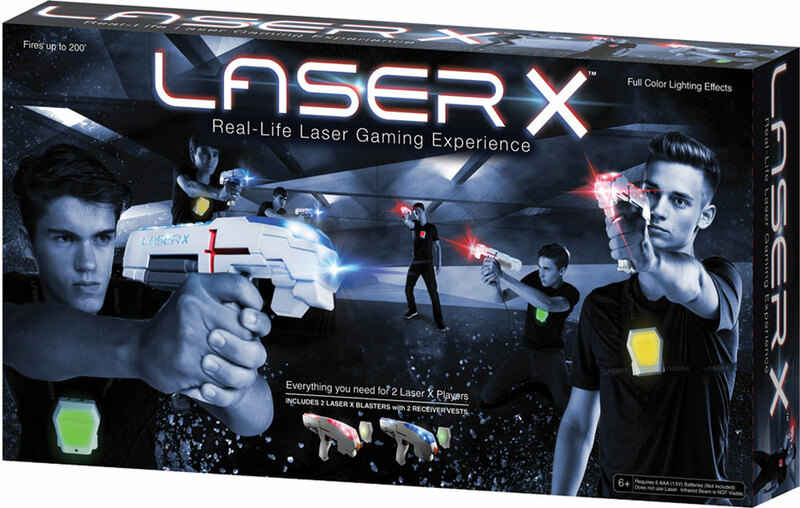 With Laser X, you can play arcade-style lasertag in your very own home. Play inside or outside, day or night, using your own home or backyard as an arena. Use natural obstacles, with no need to travel outside of your neighborhood. 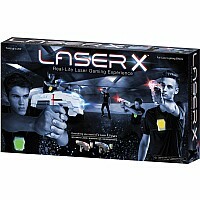 You can also take your Laser X game set on vacation or to friends houses to switch up your gaming experience. The Laser X gaming set is the ultimate, high-tech game of tag. Get away from the video games and screens, while keeping the futuristic excitement alive. Blasts range with pinpoint accuracy up to 200 feet. Run, hide and chase your opponent for hours of energetic fun. Each Laser X battle set comes with 2 Laser Blasters and 2 Receiver Vests, but you can add unlimited players to a single game. 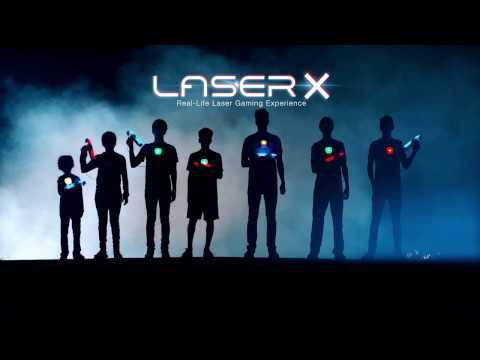 Play one-on-one or include and play with all your friends and family for a truly unforgettable lazer tag battle. The possibilities are endless. 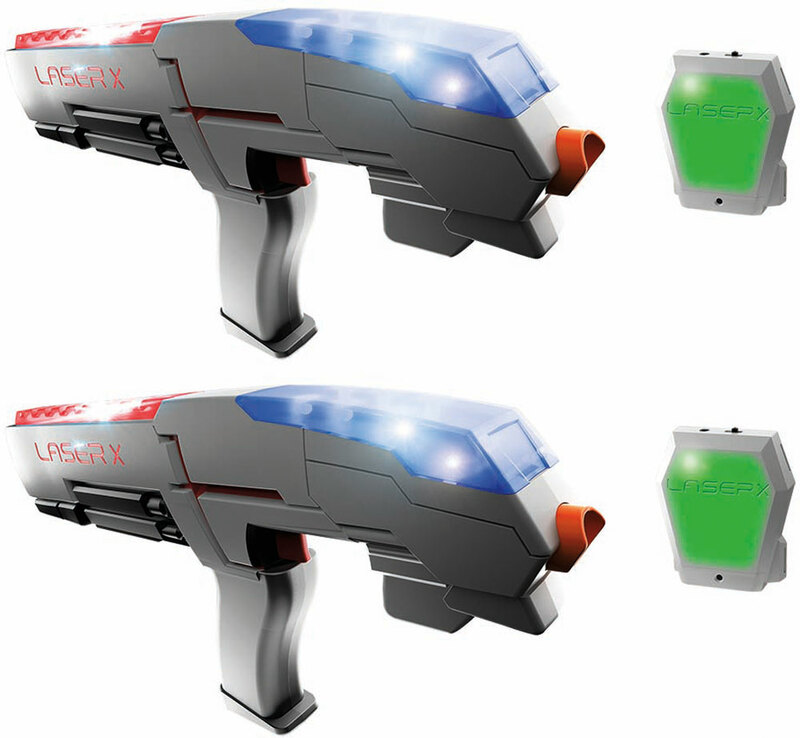 Each Laser Blaster gun allows you to be on either the red team, blue team, or go rogue. The rogue stealth mode keeps your blaster and vest blinking both red and blue to put your memory to the test. An interactive voice coach and full-color lighting effects keep the game alive. The robotic design of the Laser Blasters and Receiver Vests look like they're straight out of a sci fi movie. Inspire your inner geek while having real-life fun with this lasertag game. 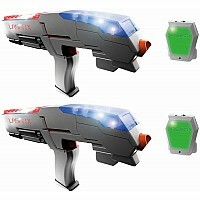 Each Laser Blaster features an accurate power-blast indicator that tracks your remaining shots. Measures approximately: 18.00 x 3.00 x 10.00 inches..